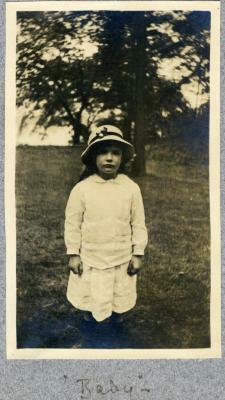 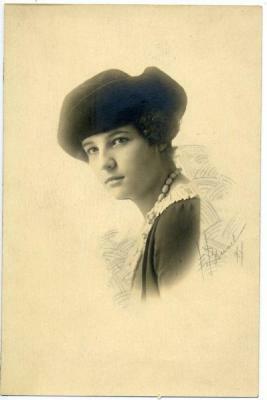 A photographic portrait of Helen Rhinelander Cameron, c. 1921. 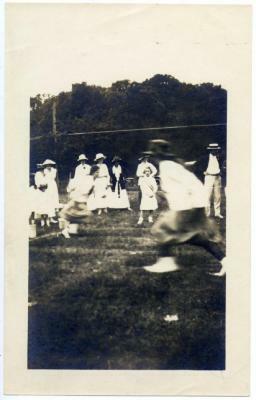 A photograph of a group gathered in a field watching two people running (possibly a race). 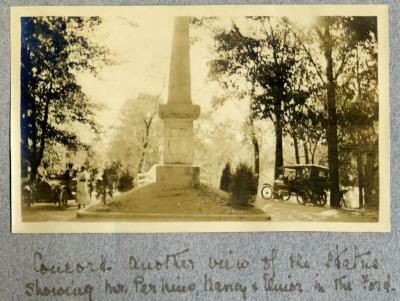 From the Rhinelander Family papers. 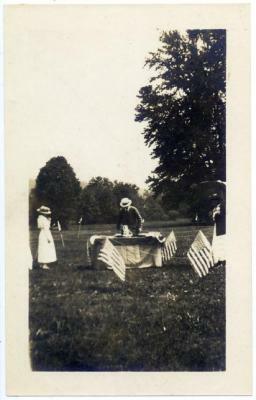 A photograph of a man and two women near a table surrounded by American flags. 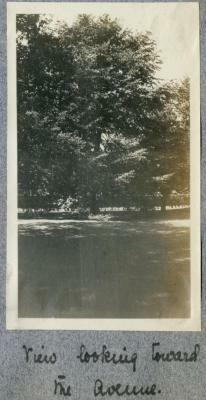 The table is in the middle of a field with large trees. 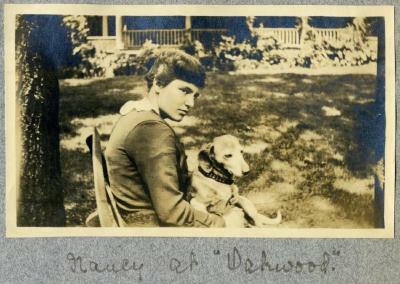 From the Rhinelander Family papers. 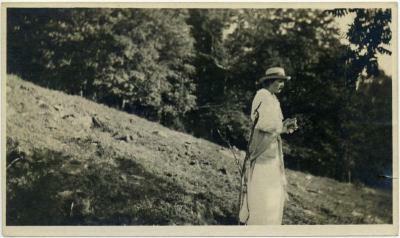 A photograph of a woman, most likely Helen Cameron ("H.C.") at Silverbirch Hill in Woodstock, Vermont. 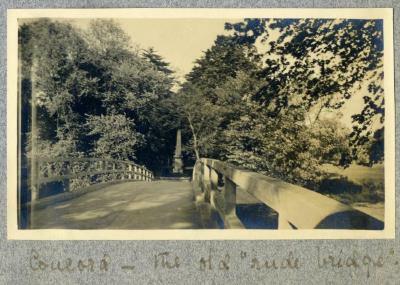 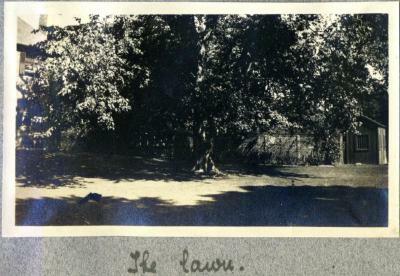 Photograph taken by Mrs. Albert Arnold. 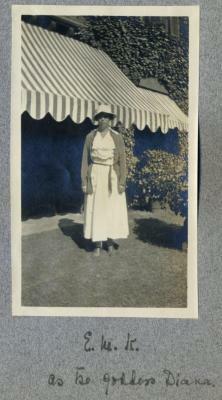 A photograph of an unidentified woman standing outside a house with a shingled roof and brick foundation. 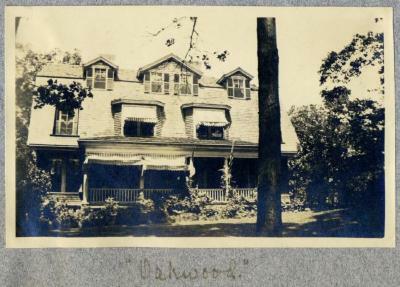 From the Rhinelander Family papers. 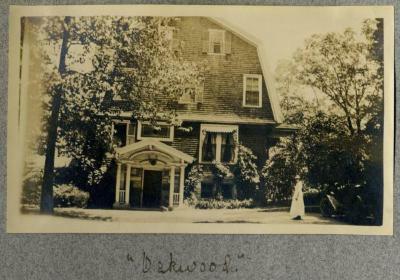 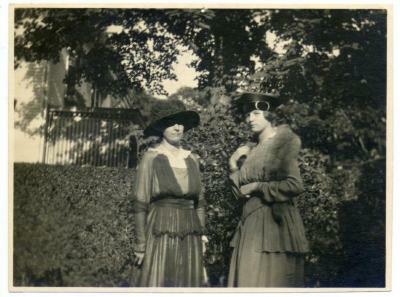 A photograph of two women standing near 10 Redwood Street. 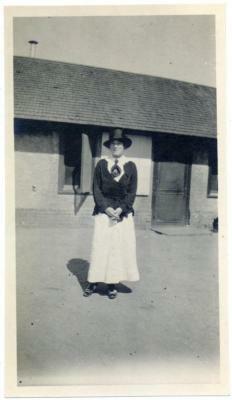 From the Rhinelander Family papers. 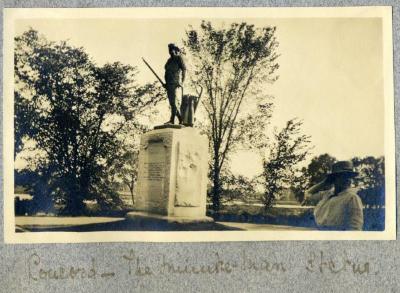 A photograph from a page in a Rhinelander family scrapbook; the page is entitled: "June 20th.-" Photograph depicts a woman standing next to "The Minute-Man Statue" in Concord, Massachusetts. 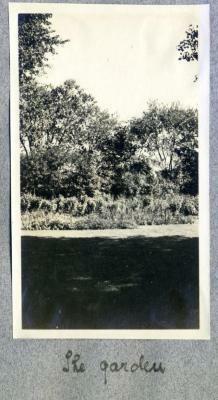 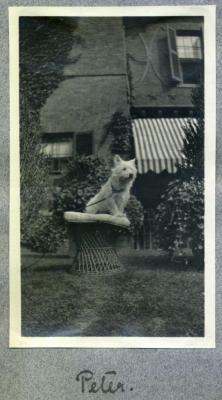 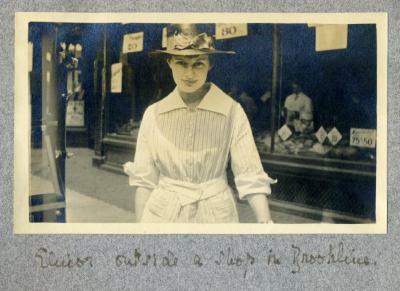 A photograph from a page in a Rhinelander family scrapbook; page is entitled: "Jamaica Plain. 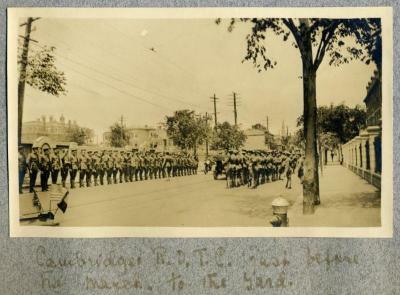 June 20th." 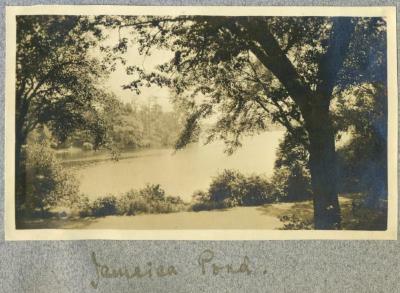 Photograph features a view of Jamaica Pond through trees and foliage. 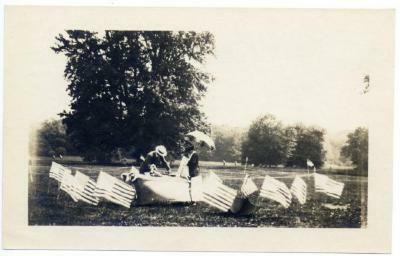 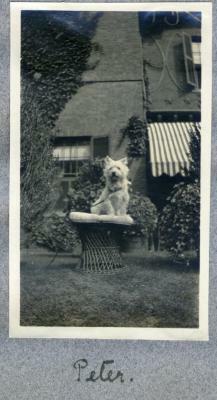 A photograph from a page in a Rhinelander family scrapbook; page is entitled: "Jamaica Plain. 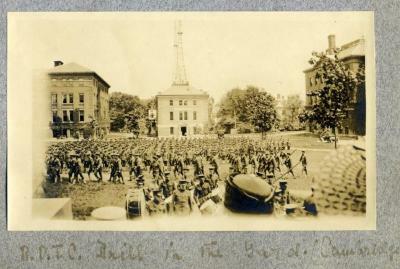 June 20th." 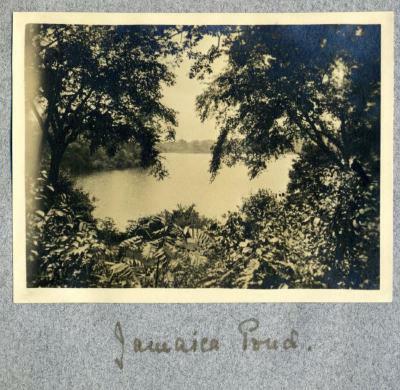 Photograph depicts foliage framing Jamaica Pond. 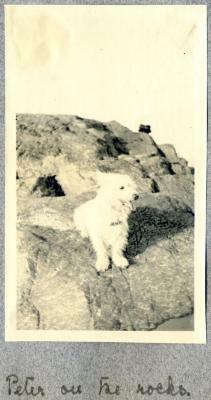 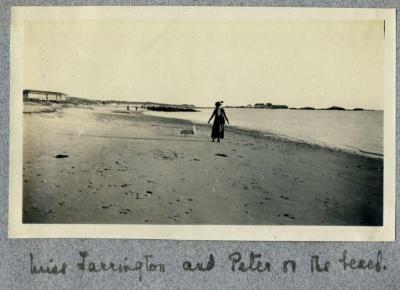 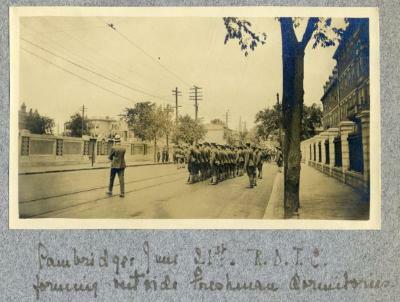 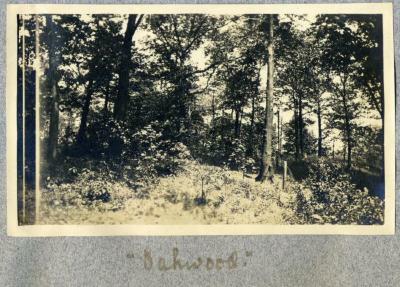 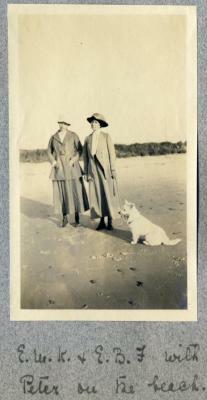 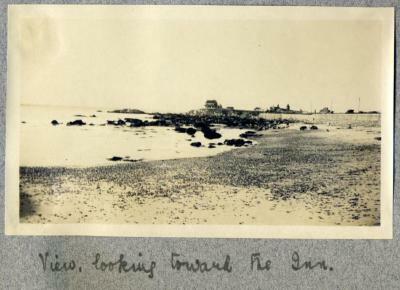 A photograph from a page in a Rhinelander family scrapbook. 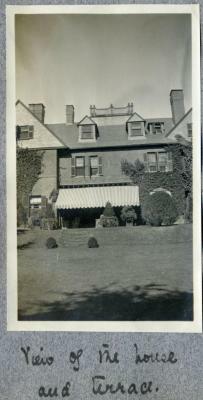 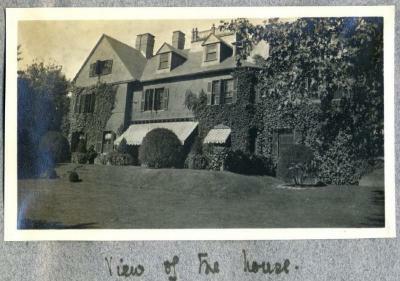 Photograph depicts a view of Berkeley House. 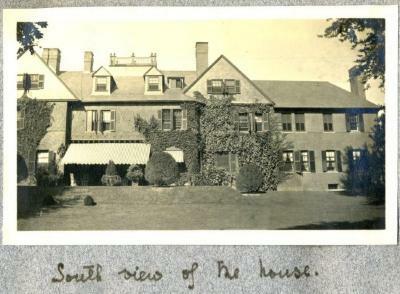 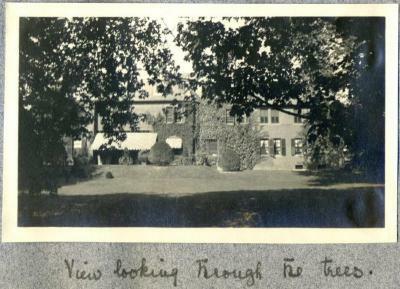 A caption below the photograph reads: "View of the house and terrace."